Today, I have new and really unique educational materials to share with you. Earlier this summer, I was contacted by Sarah Aroeste, a bilingual artist based in the U.S. who specializes in the fading Spanish dialect called Ladino (also known as Judeo-Espanol). Do you know of it? Her new children's album was released last spring. It's called Ora de Despertar (Time to Wake Up) and it’s the first ever Ladino music album for families! I just found out recently that my great-grandfather was a Sephardic Jew, so naturally, I was intrigued by this album! I think it is a special way for Sephardic Jews and their children to celebrate their language. I also think it is a fascinating opportunity for educators to talk about dialects, specifically Spanish dialects, and a way to explore how these two languages are similar and different. Sarah says she grew up with Ladino spoken in her home. She wrote this album so that her family's language would be passed down to her kids and so that they can grow up in a world where Ladino still exists. 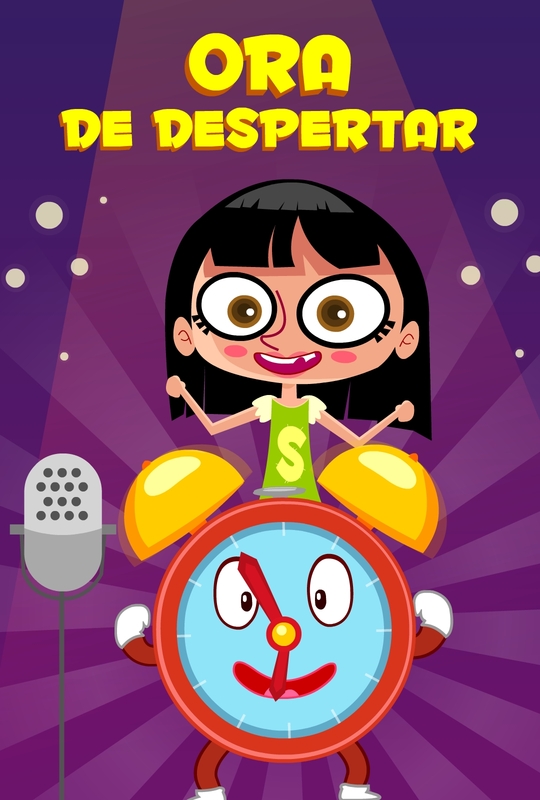 According to Sarah, the title, "Ora de Despertar", is a slight play on words. For children, it’s the title track and is a playful song about the rituals of waking up in the morning. For adults, it’s a “wake-up” call that we have to start passing our cultures down to our children or they will get lost. Her style is a combination of Sephardic Jewish tradition with contemporary influences, such as rock, pop, and blues. The album features 11 different songs, whose subject matter ranges from teaching basic greetings, mealtimes, animals on a farm, parts of the body, nature items, and more. Most modern Spanish speakers will understand much of the songs, although some pronunciation and spellings are different. Want to hear what her songs are like? You can listen to some examples of her songs on her website. I like the fact that the album comes with a songbook and a teaching guide. 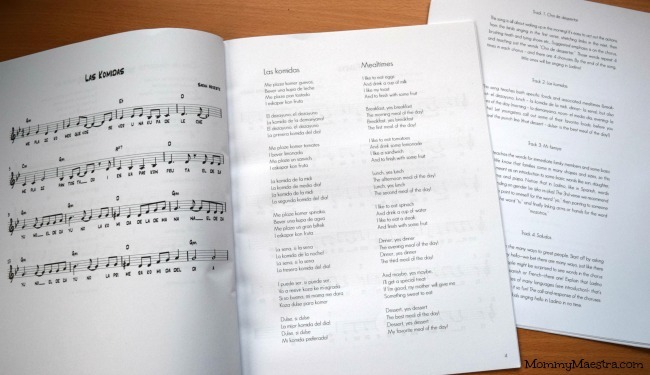 The songbook has the sheet music and the lyrics in English and Spanish. The teaching guide is not a huge file or comprehensive guide, but it shares a brief description of each song and recommends ways to extend the learning. The album also comes with a fully-animated video series for those of you with children who enjoy watching them. And they are available on Vimeo instead of YouTube, giving them some small measure of security from inappropriate content. The really cool thing is that Sarah has agreed to giveaway one set to a MommyMaestra reader! To enter to win, please use the Rafflecopter below. Disclosure: I was sent copies of these materials for review purposes. All thoughts and opinions are my own. Thank you so much for offering such a great giveaway! I am always on the lookout for Sephardic resources for my children to help teach them about their Jewish heritage on my side of the family. They are few and far between so extra happy to find out about Sarah Aroeste! Gracias!!!!! NEW BILINGUAL One-Minute Science Mysteries!